The DR Congo President Felix Tshisekedi says his country is willing to join the East African Community (EAC) to deepen its economic ties with the region. Tshisekedi said the EAC will benefit the citizens of Congo more, especially those who reside in the eastern part of the expansive country. 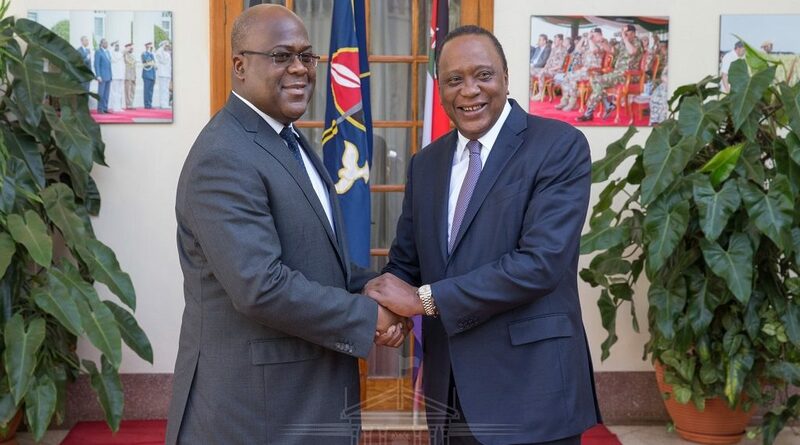 Speaking when he met President Uhuru Kenyatta at State House Nairobi, Tshisekedi, who was declared the winner of the disputed vote where his competitor Martin Fayulu was the people’s favourite, added that the expansive country would benefit more if it was a member of the EAC. The two agreed on strengthening bilateral relations between the two countries with Kenyatta offering to train Congolese public servants in Kenya. Citing the importation of goods to the DR Congo through Kenya, President Kenyatta called for the deepening of trade ties to boost the two countries’ economies. 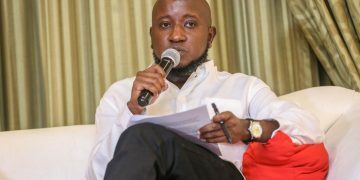 The President observed that a lot of Congolese imports passing through the port of Mombasa are goods destined for Goma and Lubumbashi which is the eastern part of DRC. Tshisekedi acknowledged the important role played by the port of Mombasa to the economic wellbeing of the expansive Congo which has a population of 70 million people. On matters governance, Kenyatta said that Kenya will partner with Congo in capacity building by offering training opportunities to Congolese public servants in Kenya’s training institutions such as the Kenya School of Government. He said the training would enable the Congolese policy makers to sharpen their skills thereby formulating good policies to ensure the country achieves its development goals and deliver quality services to its people. “We are ready to partner in building infrastructure, sharing skills in extractive industry and in many other areas of mutual benefit,” Kenyatta said. 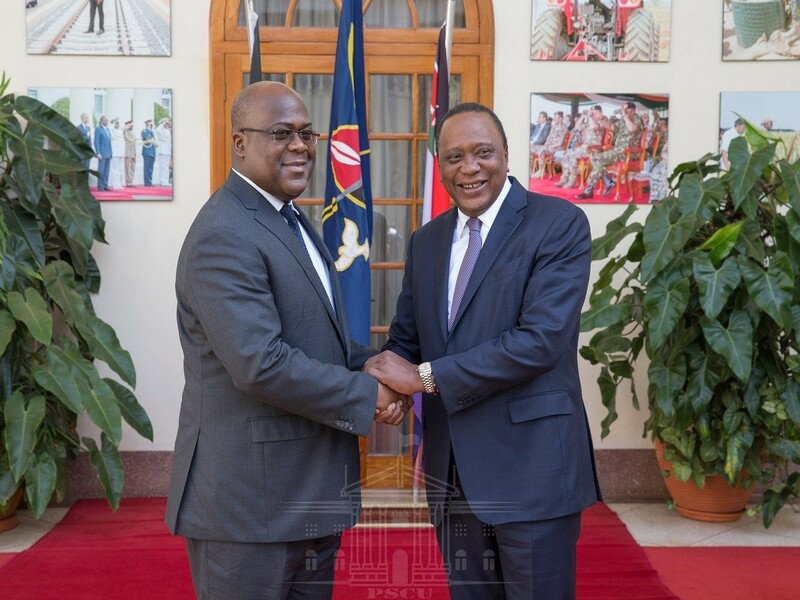 Tshisekedi said the Kenyan Government offering to train Congolese civil servants is an opportunity that will go a long way in helping the country achieve its development goals. The two heads of state said they would explore ways and means of making business between the two countries smoother. Kenyatta assured his counterpart of Kenya’s commitment in helping the DR Congo achieve political stability. “We will continue to help you achieve peace and stability because we have had similar experience which we can share. Our country has been able to calm down political temperatures through the famous Building Bridges Initiative,” Kenyatta said. Kenya has for decades hosted refugees from the Great Lakes nation with some Congolese nationals becoming Kenyan citizens. The DRC President is on a three-state maiden tour and he arrived in Nairobi on Wednesday afternoon after visiting Angola and before heading to Congo Brazzaville in the next leg of his tour. According to the World Bank, more than half of the Republic of Congo population live in the two largest cities, Brazzaville and Pointe-Noire. 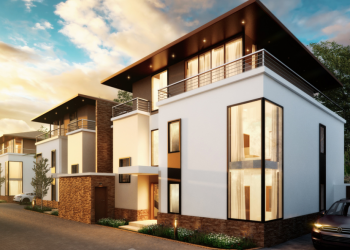 The country is highly urbanized with the rest of it ranking among the least dense areas in Africa, with a population density of 12.8 per square kilometre. 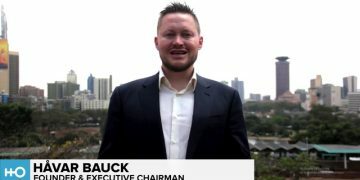 The DR Congo has significant hydrocarbon reserves with an estimated proven 1.6 billion barrels of oil reserves and 90 billion cubic meters of natural gas in addition to numerous mining resources. Largely covered by tropical forests, the Congo has abundant unused arable land equivalent to about one third of its total area. The Congo’s heavy reliance on hydrocarbon resources has crowded out development of sectors such as agriculture and forestry. After a shrunk growth, the Congo’s economic growth is projected to slowly recover at 1.4 per cent an average over 2018-2020. The World Bank says this recovery is supported by higher oil production and an increase in ICT and manufacturing output. It adds that non-oil production will continue its gradual recovery for reaching the peak in 2019. You can also read how the Congo River could power Africa and how IBM and Ford lead blockchain scheme could stop Congo’s bleeding cobalt.